a glimpse of our life: Instant Pot Giveaway! Join the free slow cooker challenge and enter the Instant Pot giveaway! Instant Pots are very popular right now, and they are far different from my Granny's pressure cooker. My aunt shared recipes that she made in hers...from gourmet dinners to cheesecake and toppings of lemon curd and homemade caramel. An Instant Pot was on my wish list for six months. I recently got one too, and it is so much faster using it to cook! Yesterday we used ours to cook the most tender spaghetti squash. Using it has completely changed how I boil eggs and make homemade chicken broth. Have you tried cooking with one yet? 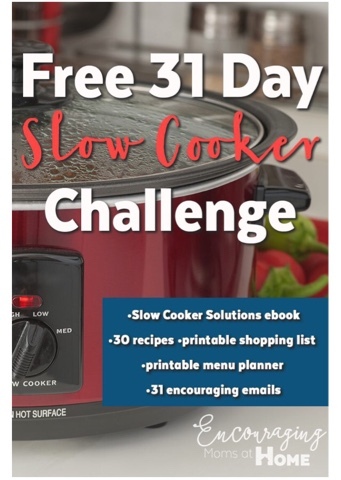 My friend Amy is starting a 31 Day Slow Cooker Challenge and to celebrate we are giving away an Instant Pot! Instant Pots (affiliate link) are amazing because you can use them as a slow cooker, a pressure cooker, a rice cooker, a warmer, a yogurt maker, and more! Slow Cooking is a fabulous way to handle the Back-To-School mayhem and it just makes life easier. 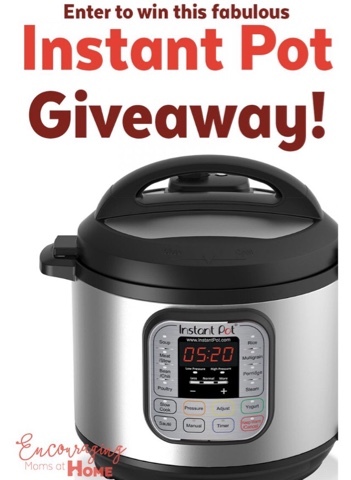 If you’d like to win the Instapot and get started using your slow cooker more, use the entry form below. Winners must be 18 years old or older and a resident of the United States. Sharon, I made yogurt with whole milk this week, and it is delicious.